Jawhar hill station is in Thane district of Maharashtra. Gifted with exotic valleys, thick rich forests and pleasant climate, Jawhar offers dofferent type of enjoyment comparing to other hill stations of Maharashtra. 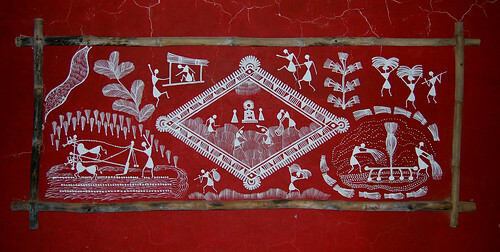 Jawhar is popular for its lively Warli paintings. This hill station is one of the few tribal kingdoms in Maharashtra. 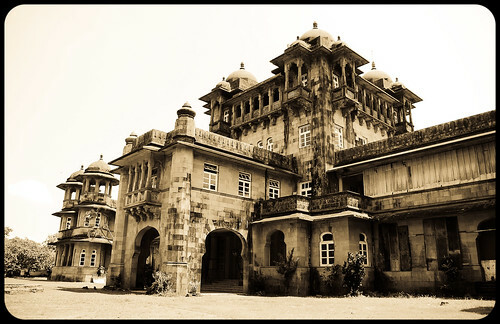 Tourists can visit Jai Vilas, the Palace of the tribal lords that offers a unique opportunity to expose and enlighten with the tribal way of life. Bhupatgad relics are also worth a visit. Dadar Kopra Falls, Hanuman Temple and Sunset Points are the other attractions of Jawhar. Jawhar is also known as the Mahabaleshwar of Thane District. Shirpamal, where Shivaji Maharaj camped on his way to Surat is near Jawhar. Nearest airport is at Nashik (80 km), while nearest railway station is at Igatpuri (61 km). Departure from Mumbai Jawhar on arrival check into Hotel / Resort day is free to see the DadarKopra Falls , Hanuman Temple and Sunset Points are the other attractions of Jawhar. O/n halt. After breakfast proceed to see Shirpamal, a structure created at the top of a hill, built by the great emperor of the Maratha kingdom Chathrapathi Shivaji and is dating back 3 centuries ago. This is located at the pinnacle of the highest hill so that the royal people can watch the movement of enemies and also to have the great view of the kingdom. After Bf Return to Mumbai/pune on arrival drop at residence/Airport/Railway Station with memorable experiences of Gagangiri Tours & Travels.